legal recourse via his commodification of justice reforms. The Tories are well known as the political party that serve the interests of the rich. 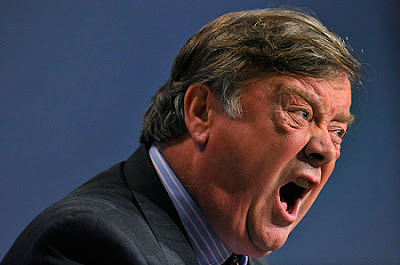 Their latest plan to slash Legal Aid, restrict no-win no-fee agreements and downsize the Citizens Advice Bureau ostensibly to save £350 million pounds, however the plans as laid out by Justice minister Ken Clarke have been criticised from across the board as ill conceived and reckless with far reaching consequences. The Legal Aid budget is there to provide legal representation to people that are financially incapable of paying for their own legal representation. Legal Aid lawyers earn far less than they could in virtually any other legal specialisation (such as libel, tax law, contracts, conveyancing and intellectual property). Behind all of the disingenuous waffle about "saving money" and "preventing spurious legal claims" the Tory motivation for these measures are obvious. It is a step towards the commodification of justice in order to further tilt the scales in favour of the rich by preventing poor people from obtaining legal representation. 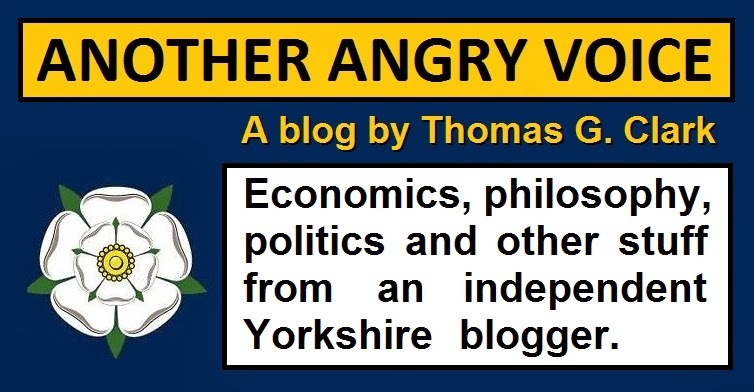 There will be many serious legal ramifications if these Tory reforms are voted through and I am going to outline a few of them. The first criticism comes from United Nations legal expert Professor John Ruggie who stated that the proposed Tory reforms would "constitute a significant barrier to legitimate claims being brought before UK courts in situations where alternative sources of remedy are unavailable". He also explained that since legal aid is no longer available for many cases against multinational companies with most such cases currently funded through conditional fee agreements, the Tory plans would make cases against such organisations too costly and that "in complex human rights claims against businesses, the success fee could equal or even exceed the compensation awarded, given the financial risks for law firms of bringing such claims". 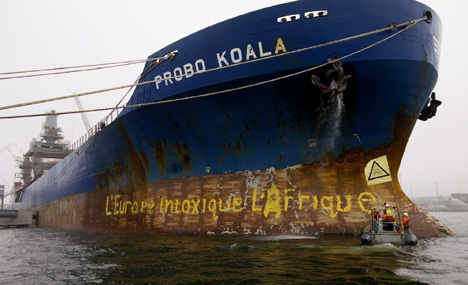 He did not mention any specific cases but the Trafigura toxic waste dumping case that resulted in the poisoning of around 30,000 Ivorians is an example of a case that was contested on a "no-win no-fee" basis which would be rendered unaffordably risky after the reforms. It is quite easy to see that the intended beneficiaries of these Tory reforms would be corporations that would be able to avoid justice by virtue of their victims being priced out of the courts. are a classic example of false economy. Several different organisations have tried to estimate the potential impact of the proposed cuts and the majority predict that the reforms will result in the denial of justice in between 500,000 and 750,000 cases per year. 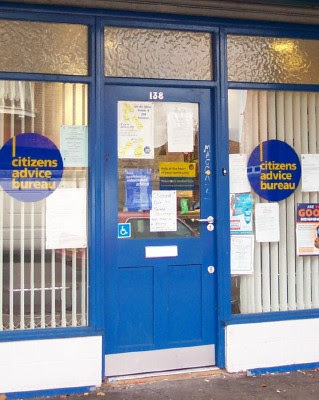 Whatever the scale of the damage it is impossible to deny that the measures will have a devestating impact on individuals and families that are denied the right to pursue cases of medical negligence, refused the chance to bring cases of domestic violence or to seek legal advice from places like the Citizen's Advice Bureau. According to the Commission of Inquiry into Legal Aid the proposed legal aid cuts will be a false economy because for every pound of legal aid spent on benefits advice, the state saves up to £8.80, and for every pound of legal aid spent on employment advice, the state saves up to £7.13. When coupled with the human cost to the vulnerable and socially excluded of reducing legal aid, the commission found the increased economic costs of these measures to be unacceptable. The Legal Aid minister under the Labour government; Lord Bach, agreed that under the proposals the most vulnerable will suffer and it will lead to exactly the opposite of what the Tories claim, with more problems being brought to court in the long run. He also expressed strong opposotion the the plan to cut civil fees by 10%, which will hit social welfare lawyers who work for little reward. It is good to see the opposition voicing their concerns about these measures, however it should be noted that it was New Labour spin doctors that invented the false caricature of the "legal aid fat-cat lawyer" in order to justify their last round of legal aid cuts. The number of people who represent themselves in the civil courts is set to rise dramatically because people who cannot afford a lawyer and fall outside the limits that are set for legal aid funding will be forced to either drop their pursuit of justice or to represent themselves in court. Several judges and legal experts such as the the Judges' Council have warned that a large increase in self representing clients will cost a lot more in the long run as many more cases that could be easily be resolved by legal experts will find their way into the courts with one or both parties representing themselves and that the increase in "litigants in person" triggered by legal aid cuts would clog up the courts, imposing greater strains and costs than the current system. From the evidence of widespread opposition and the demonstrable false economy of the proposals it is quite clear that the Tories are pursuing these cuts as part of an ideological agenda. Rather than trying to save money and prevent spurious cases from reaching the courts as they claim, they are simply trying to commodify justice and herd the poor out of the courts in order to protect the interests of big business and the rich. Oxford dons slam David Willetts' "recklesss & incompetent" University reforms. has been humiliated by a no-confidence vote at the institution. It is quite clear to me that the Tory party have not changed since the divisive rule of Maggie Thatcher and continue to pursue policies that disadvantage the poor, the working class, the elderly and the disabled whilst simultaneously bringing in legislation to protect the interests of their traditional supporter bases of the rich landowning class and the bankers, hedge fund managers, private equity asset strippers and moneymen that have provided more than 50% of donations to the Tory party in recent years. This is no big surprise, as anyone with more than half a wit should be aware of the unofficial Tory party motto of "take from the poor to give to the rich". The thing that disgusts me most about the current regime is the fact that slimy PR man David Cameron knows that most of the British population are well aware of the long-term economic and social damage caused by Thatcher's "greed is good", "no such thing as society" neoliberal agenda so he is making sure to use "newspeak" and misdirection in an attempt to obscure the fact that his party are basically having a whale of a time kicking the poor and blaming it on Labour's mishandling of the economy when they know full well that the economic mess was caused by their banker mates in the city. One of the clearest examples of this use of "newspeak" was all the soundbyting about "promoting social mobility" when many of their policies such as the tripling of university tuition fees can only be seen as part of a deliberate and determined "war against social mobility". The fact that so many of Cameron's cabinet of millionaires went through the production line of private schools such as Eton (that cost more than the median wage in fees) and then through Oxford University (and the Bullingdon Club) into their positions of power and authority is a clear demonstration that this government is one born out of privilege, not social mobility. Oxford University have been bitterly criticised for continuing to favour applicants from private schools. Only 7% of British kids go to private schools while 46% of Oxford's 2009 admissions came from private schools meaning that a child benefiting from an expensive private education is more than fifteen times as likely to get a place at Britain's top ranked University that a child that has received the standard state education. 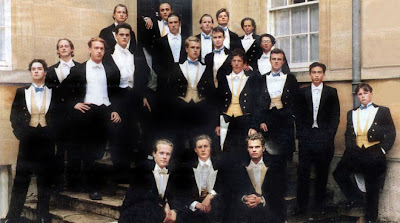 were members of the elitist Oxford University Bullingdon Club. All of this gave me the impression that the "Toffs" that run Oxford University must be delighted with the inequality that allows their graduates to be so heavily over-represented in politics, the judiciary and in the media and pleased that the government have brought in huge financial disincentives to dissuade ordinary kids from aspiring to study at university. 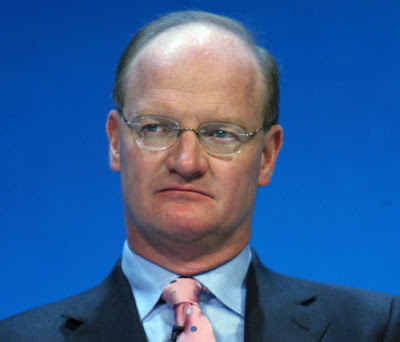 However this week this assumption was proved spectacularly wrong by an extraordinary vote of no-confidence in David Willetts' education reforms from Oxford University lecturers which passed by 283 votes to 5, the first time a vote of no confidence in a minister has ever been passed by an English university. Historian Robert Gileda who proposed the motion described David Willetts' university reforms as "reckless, incoherent and incompetent" and also slammed Willetts' proposal that rich students that fail to be selected should be allowed to buy their way into "off-quota" places as "a red carpet entry for the rich and even more competition for everyone else". Humiliatingly for the Tory minister for universities and science, his former lecturer Peter Oppenheimer who had previously described his pupil as easily influenced and as "no politician" was one of the vast majority who voted against the reforms. Things could get a whole lot worse for Willetts when other universities begin to follow suit as Oxford are encouraging other universities to voice their opposition to these Tory reforms via their No Confidence website. If an institution that is clearly recognised as one of the great British bastions of privilege and inequality is so united in their opposition to these reforms on the grounds that they are harmful to British higher education, the reputation of the British university system as a whole and to the students that will be left with mountains of debt, then the Tories "War on social mobility" must be way out of control.